The recent detention of a third Canadian in China differs from earlier ones that authorities allege involve security matters, a Chinese government spokeswoman said Thursday. In the latest case, a woman received an administrative penalty for illegal employment, Foreign Ministry spokeswoman Hua Chunying said at a daily news briefing. She did not provide further details. The detentions of two Canadian men last week appeared to be retaliation for Canada's arrest of a Chinese telecommunications executive wanted in the United States. Hua said the most recent case is different, noting the two men have been taken in for endangering China's national security, while the woman was given an administrative penalty. 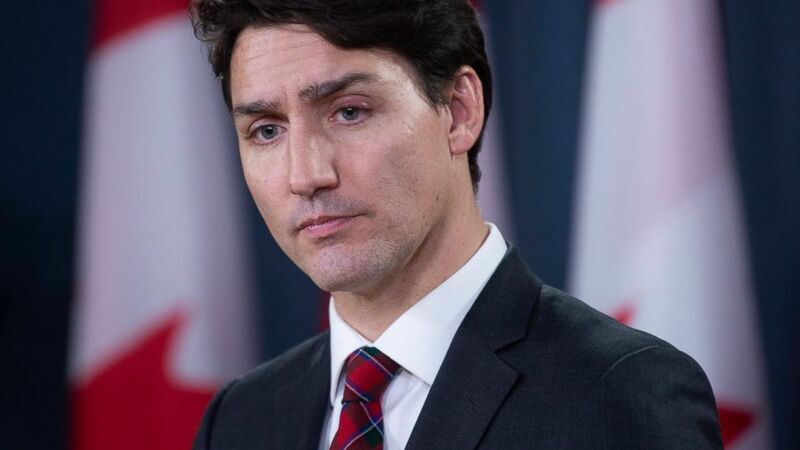 Canadian Prime Minister Justin Trudeau has also said the cases don't appear to be linked, noting that tens of thousands of Canadians live, travel and work in China. He added at a year-end news conference Wednesday that he doesn't want to escalate tensions with China. Canadian lawmaker Erin O'Toole said that the case involved visa irregularities for an Alberta woman who had been teaching in China. Opposition leader Andrew Scheer said Trudeau needs to call China's president. "Enough is enough. It's time for the Prime Minister to pick up the phone, call President Xi, demand the safe return of Canadians held by Beijing. Any detention of Canadian citizens for political or diplomatic reasons is completely unacceptable," Scheer tweeted. Nelson Wiseman, a professor at the University of Toronto, said Trudeau looks weak and said his comments won't be well received by Canadians. "The government thinks that stronger statements will lead to poor treatment of Canadians held by China and possibly result in more Canadians being detained and Canadian businesses in China being hurt by the Chinese government," Wiseman said. Meng Wanzhou, chief financial officer of Chinese telecommunications giant Huawei, was arrested in Canada on Dec. 1 at the request of the United States, which wants her extradited to face charges that she and her company misled banks about the company's business dealings in Iran. Nine days later, the Chinese secretly detained two Canadians on vague suspicions of "engaging in activities that endanger the national security" of China. Beijing didn't allow Canadian officials to see Michael Kovrig, a former diplomat in China, for four days and Canadian entrepreneur Michael Spavor for six days. Meng is out on bail in Canada. Associated Press researcher Liu Zheng contributed to this story.